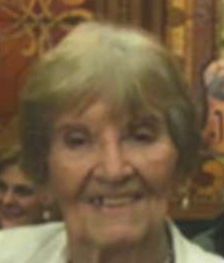 Barbara Heinz passed away at Miller’s Merry Manor Nursing Home in New Carlisle on Wednesday, September 12th. Barbara was born in Gifford, Illinois to the late Harm and Reka (Hayn) Babcock Severins. She was preceded in death by he stepfather William Babcock, sisters Dorthea Stahoviak and Betty Gibson, as well as a step-brother James Babcock and a nephew Bradley Stahoviak. On March 6, 1954 she married Blaine Heinz who passed in April 2006. Surviving is her son Cary and his wife Kimberly Heinz, and stepdaughters Tiffany and Amber Cerrillos, and a step granddaughter Harlow Dampeer. Her ‘adopted’ Polish son Dan Pedzinski also survives. She was formerly employed by Smith Shoes and Dobeski’s Shoes. At her request, there will no services. If you knew Barbara, tip a cold one in her honor.